Intelligence Corps head presents Cabinet with annual appraisal, says 'diplomatic process' needed to stop Abbas's terrorists from attacking. IDF Intelligence Corps head Maj. Gen. Herzl (Herzi) Halevi recently made a surprising recommendation to the government for a "solution" to the ongoing Arab terror wave, and plans to air his suggestion again on Tuesday to the Knesset. In the midst of a terror wave that has raged since last September, Halevi appeared at the Security Cabinet on January 24 together with other senior Intelligence Corps officials to deliver the annual intelligence appraisal for 2016, reports Channel 10 on Monday night. He is to deliver the 2016 assessment again on Tuesday to the Knesset's Foreign Affairs and Defense Committee. According to Halevi, a "diplomatic process" with the Palestinian Authority (PA) is the only way to stop the terror wave, as he claims the military has largely done all it can. The 2016 Intelligence Corps appraisal claims that if no "diplomatic process" with the PA is launched in tandem to the military efforts of the IDF and security forces in Judea and Samaria, there is a danger that additional forces will join the terror wave, including the Tanzim terror group. 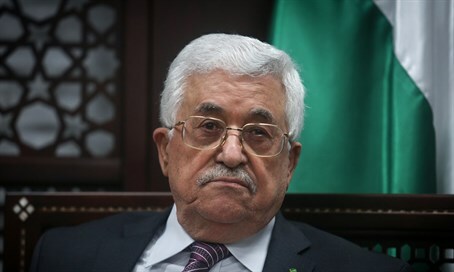 Tanzim is the "armed wing" of PA Chairman Mahmoud Abbas's Fatah faction; a number of the terrorists in the current wave of attacks have already proven to be PA Security Force members. "We are close to exhausting the military steps," the IDF sources were quoted as saying to the government's Security Cabinet. However, according to the report, the Intelligence Corps officials were given the impression that the Cabinet was not welcoming of their appraisal. It remains to be seen what reception it will get in the Knesset Committee on Tuesday. Regarding solutions to the terror wave, there have been numerous suggestions although many steps have been held up by the Knesset. There have been calls to expel the families of the terrorists from Israel, and one step repeatedly demanded by the families of murdered terror victims is to implement the death penalty against terrorists. Israel has a death penalty on the law books, but it has only been implemented once in 1962 against Nazi leader Adolf Eichmann. A vote was held last July on applying the death penalty to terrorists, but the Knesset overwhelmingly voted against it 94-6. In a sign of division among the ostensibly nationalist camp, the opposition Yisrael Beytenu party proposed the bill, but coalition partners Likud and Jewish Home were among those opposing it.